In October 2010 I discovered the Chapmam stick. Have you ever been a frustrated (instrument of your choice) player? You know I was a frustrated lead guitar and piano player. I knew the theory, and I could compose musical pieces. (Notice I said pieces and not songs). Playing bass came easy because I always had rhythm and I love dancing! (OK, I said it. Dancing…) And I love technically challenging music. So the stick allows me to combine the two in real time. When I got the stick I found every advancement was like the steps on a flight of stairs. Playing and practice lead to individual advancements. Some came quicker then others. In about a year I became familiar enough with the fretboard that I could play bass and chordal phrasing simultaneously. Like a piano man, but with the punch and groove of a bass and harmonic accompaniment of an Electric Guitar. 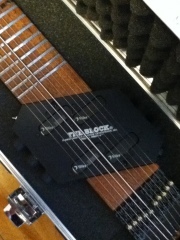 Now put some lyrics on top and voila… You have the tools to create some Cool-Prog-Funk-Rock. Decided to get my studio set up. So where do you put what and what should be in reach? 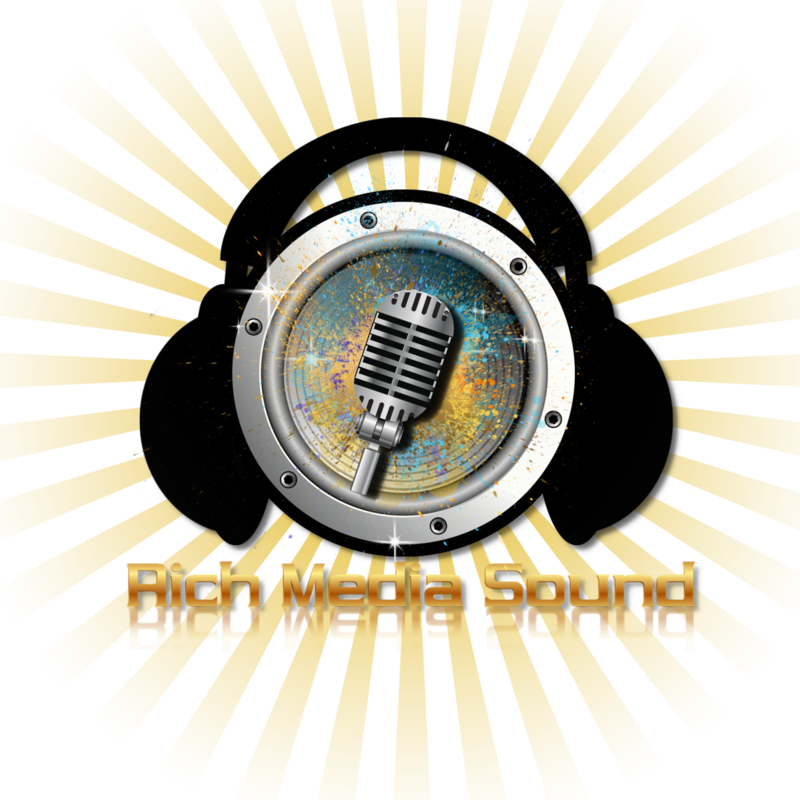 In my situation I use audio and video in the studio, plus some web programming. So where do you start? 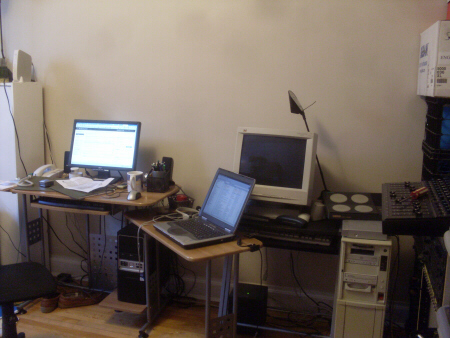 I have a main computer work station (web, R and D, uploading and video. The music audio computer is a separate station. Now the room is about 15′ by 11′ and 8’4″ ceilings. Hard wood floors and plastered walls. 1 window and a single door entry. There is the placement of the equipment, monitoring position, acoustic treatment and a video back drop for video-webcasting. Stay tuned to see how I pull this of. 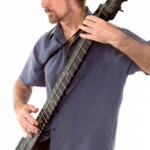 What is a chapman stick? Well, I ordered a 10 string Chapman stick and it will take about 3 to 4 months for the company to produce it and ship. 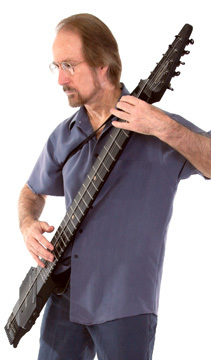 So what is a chapman stick? Well take the idea of a piano and apply it to a guitar and bass. And instead of plucking the strings you just tap the note at the appropriate fret buy tamiflu. Now imagine that you are playing the bass part with your left hand and the melody/chords with the right. Here’s Kevin Keith on the stick just to give you an idea. Having moved on Thursday July 1st, was like a doctors appointment. You know you have to do it to improve your present state, but who really wants to? It’s necessary and you know that things in the near future will be much better price of tamiflu. 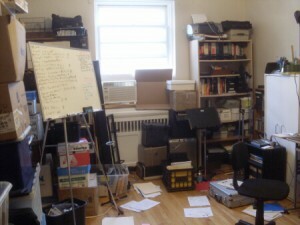 So now a few days to set up the studio and test. Then back to work.